Soorma and Ant-Man and the Wasp Monday (4th Day) Collection Report. Soorma is enjoying decent trending in Indian box office as result of Monday (4th day) are out. Film has reported a drop of 35-40% from Friday which is decent to good hold. Ideally film needed a better hold considering film showed decent trending through the opening weekend. Soorma collected approx 2 crore nett on Day 4. Film total business after 4 days is approx 15.85 crore nett. 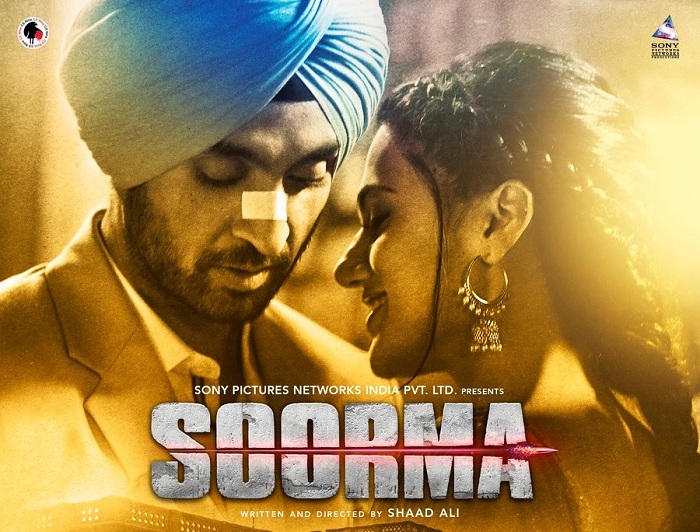 Soorma first week business is now heading towards 20-20.5 crore nett mark. Film now needs a strong hold on 2nd Friday if it entitles any chance of emerging as successful at box office. Mon - 2 crore nett (est). Total - 15.85 crore nett (approx). Ant-Man and the Wasp is enjoying a good run at Indian Box Office. Film has collected a respectable 22 crore nett in 4 days of business in India. There is no doubt Marvel films have made big inroads in Indian Market and Ant Man is another example of that. Fri - 5.5 crore nett. Sun - 6.8 crore nett. Mon - 2.5-2.75 crore nett (est). Total - 21.8-22.05 crore nett (approx).